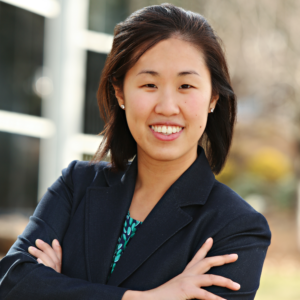 Jen Lin has experience in all aspects of intellectual property law. Her work includes patent drafting and prosecution, validity and freedom to operate opinions, trademark matters, and providing advice regarding intellectual property strategy and management. In her practice, Jen has worked on a wide variety of technologies, including network communications, imaging and signal processing, smart vehicles, footwear, elevators, and medical devices. Jen enjoys working directly with clients to advise on and develop a comprehensive plan to achieve business goals, taking into consideration product features, development timelines, current technology portfolio and landscape, and global strategies. She draws on her experience to take complicated scientific concepts or complex legal processes and explain them in straightforward and practical ways. Her varied educational background in law, physics, linguistics, and philosophy enables her to identify problems and consider solutions from different perspectives. Jen is fluent in Mandarin Chinese and uses any opportunity to celebrate her heritage. Outside of work, Jen can be found climbing in rock wall gyms with her husband, serving with her local church, and eating at Chinese restaurants with her family.